Youth looking to make a difference in their community are once again being encouraged to dream with the opening of the annual Dave Mikkelsen Award for Youth. Established in 2010 to honour former Mayor of Chestermere Dave Mikklesen who served on council for 12 years. The award sees one lucky youth or youth organization given $1,000 to be spent on a youth project of the winner’s choice. Chestermere’s youth aged 12-17 or organizations that serve that age group are invited to apply for the award. The online application includes a short essay explaining how the prize would be used. The only limit on the ideas is that they benefit the youth of Chestermere in some way. The entries are then judged. Some of the criteria used to select a winning project include creativity, budget and the number of youth impacted. Past winners include Nathan Hermann and Megan Desplanque. “All of the ideas are very unique and have been quite impressive,” said City of Chestermere Communications Officer Katie Lamanna. Hermann won last year with his idea for a water filling station at the skate park while Desplanque used her prize to start a YouTube channel focused at Chestermere’s youth. “Both are very impressive, but both support youth in our community in different ways,” said Lamanna. Hermann described the application process as being easy and encourages youth to apply. “It was pretty fun to win the award and to actually be the reason behind the fountain being installed for the community to enjoy,” said Hermann. While the prize money hasn’t changed since the awards inception, the interest from the community has grown. Lamanna said that every year the city has been working to grow the reach of the award and increase interest and participation by local youth. “Each year, we look for more and more applicants to apply for this award. 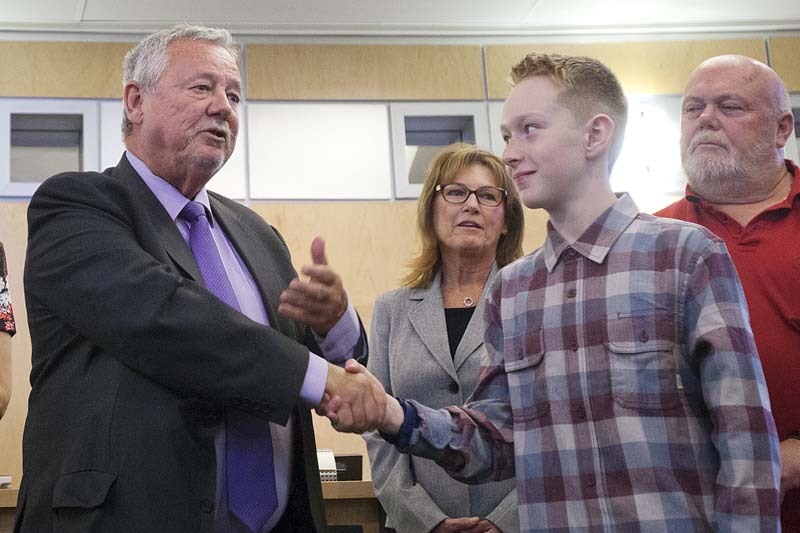 “More applications mean more engaged youth in Chestermere,” said Lamanna. For more information or to apply for the Dave Mikkelsen Award for Youth go to www.chestermere.ca/youthaward. The application deadline for the award is Dec. 8.